Home / Posts tagged "Novak Djokovic"
Relive every moment from the finale of the ATP World Tour Finals between Novak Djokovic and Roger Federer. 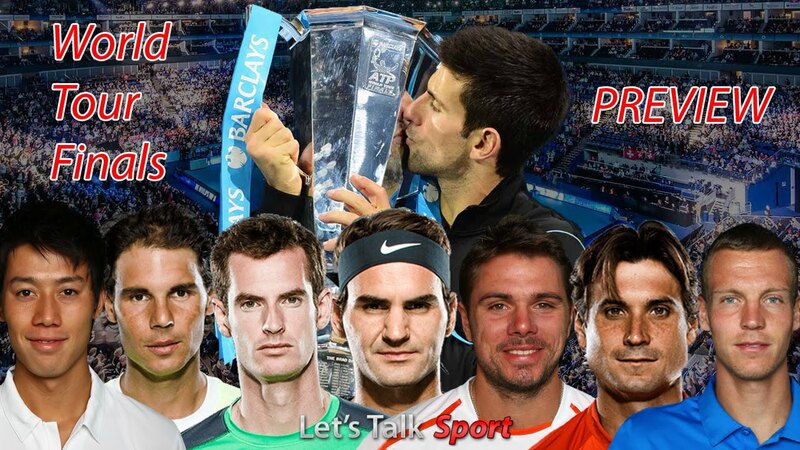 Novak Djokovic and Roger Federer get set for the year-end final at the o2 Arena in London LIVE on Let’s Talk Sport. You can catch the action of the year-end tournament on Let’s Talk Sport. Who will claim the last word of the 2015 tennis season? Tennis Tuesday: Can Anyone Stop Djokovic? Host Dan Middleton interviews both Jack Price and Jamie Davies and gets their thoughts on the man of the moment in the world of tennis, Novak Djokovic. Tennis Tuesday: Where is the Rivalry? After a simple performance by Novak Djokovic against a once deadly competitor Rafael Nadal, where is the big rivalry in men’s tennis? Wimbledon 2015: What have we learnt? Which man will win Wimbledon 2015?